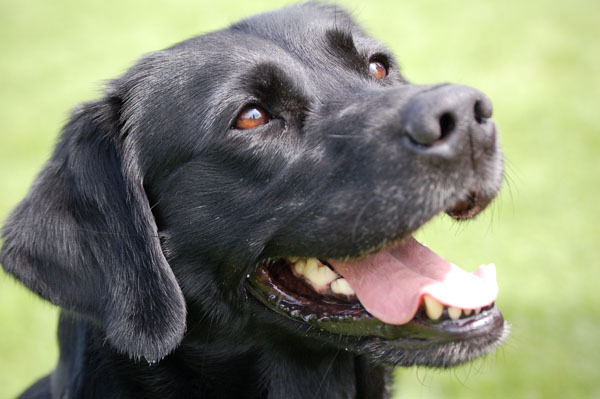 In 1996 when I watched a television program about dog training I became very enthusiast and decided to start agility- training with my dog Cindy, a female black Labrador Retriever, 5 years old then. 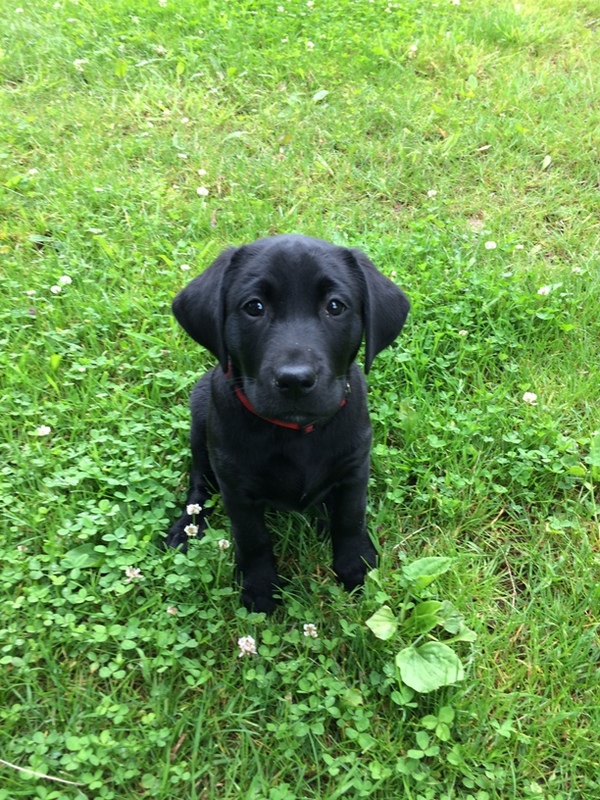 I already had some experience with Obedience training because I train my dogs myself to assist me with picking up things from the floor, help by put out cloths, opening/ closing doors, assisting me with shopping and accompany by taxi. 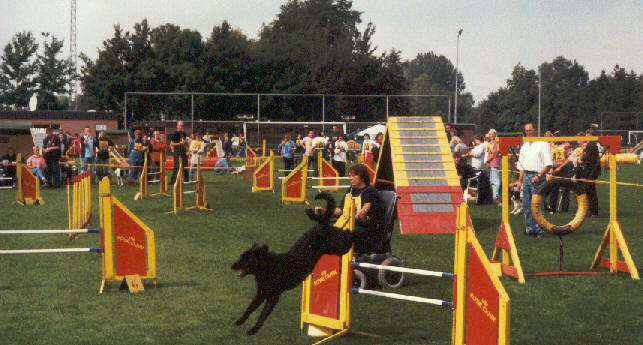 We have trained a lot in regular training programs and obtained various agility certificates which enabled us to enter agility competitions organized by Cynophilia, a Dutch organization for dog training. In these competitions I 'm the only handler using an electric wheelchair. 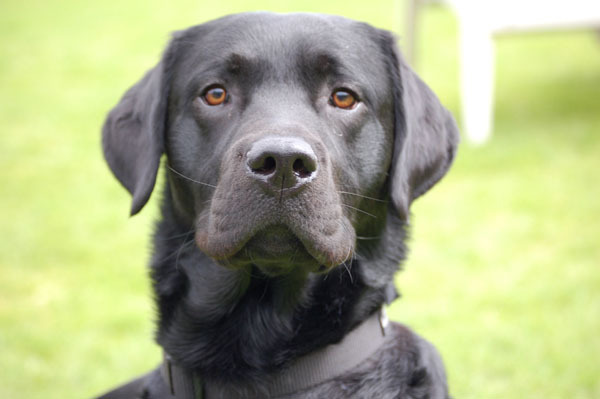 I have always encountered complete acceptation and enthusiasm and support from the regular handlers. Cindy obtained her first and last "excellent". ( K.C. Zoys 06-09-1998) In 1999 Cindy was not able to compete anymore because of her state of health and start enjoying a well-deserved retirement. 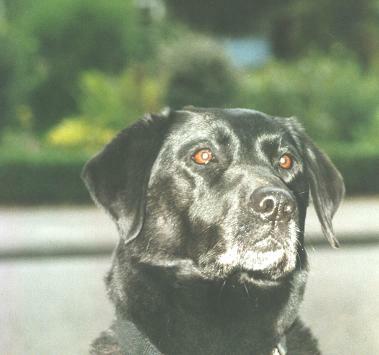 She died on 13-07-2004 after a tumour. She had a wonderful doglive. 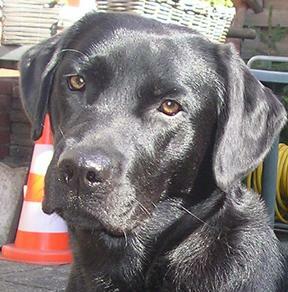 Till the last day she have worked very anthousiast as service-dog. With her help I have started agility......Thanks very much Cindy! 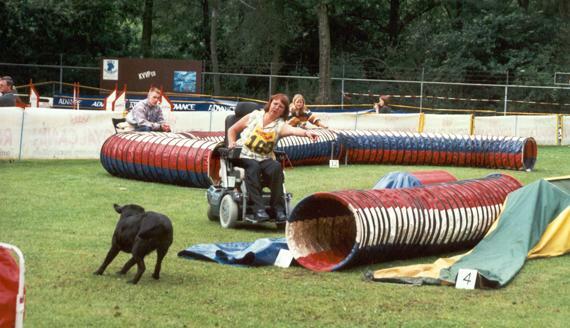 In 2002, working together the organisation of the International Mix & Breed Championship Agility (IMCA), championship agility valide handlers, the ParAgility World Cup erected(PAWC), championship agility for handlers with a disability. Read more about this in the begin of this pages! dependent of an electric wheelchair. 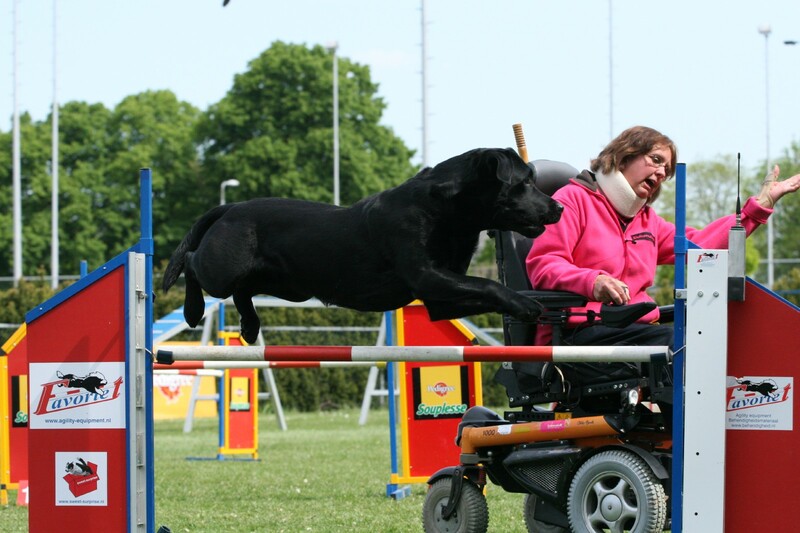 Due to the fact that I am confined to a wheelchair my dogs and I have a few more obstacles to take compare to regular handlers. 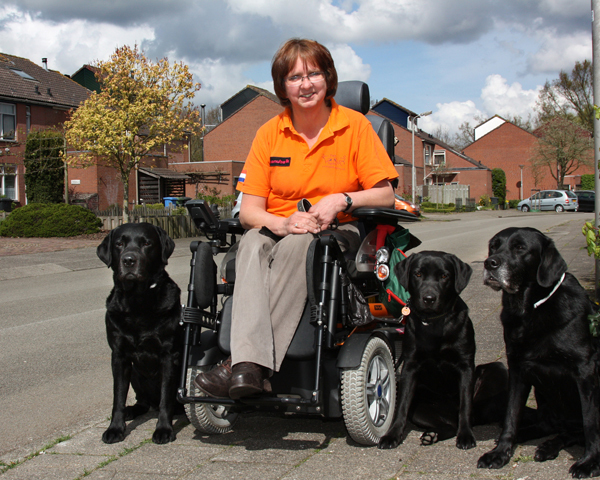 A major problem we encountered is the speed of my wheelchair which is slower than most fast running handlers. Most competitions are held in open air on grass, which adds to my speed problem especially when it has rained a lot.Therefore is indoor competition for us much better. My dogs are trained to obey my commands to help me, in other words they are allert and supposed to stay close to me. Agility training however requires a quick response to a command to move away from me to complete part of the course independently. These conflicting commands are another disadvantage and require a lot of extra training. We experience it as an extra challenge!